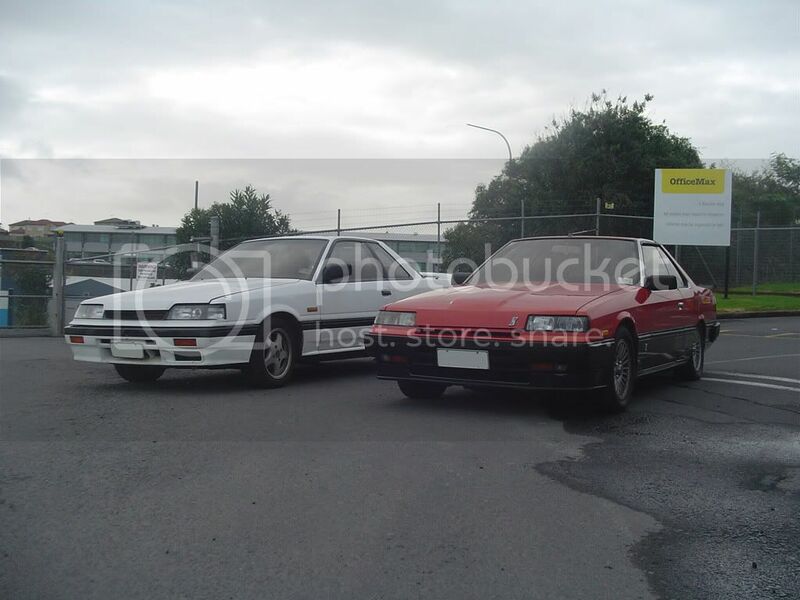 I’ve lost count of the times I have been asked whether a particular wedge Skyline is an R30 or an R31. Even amongst so-called Skyline “obsessives” there’s a lacking in ability to tell the difference. So rather than having to explain it time and time again, I figured that I would take a moment to make an entry on RC about it and then when it comes up again (which it most certainly will) then I can just point people here. Personally, I don’t see how you can’t see the differences but I put that down to a beyond ridiculous admiration of the Skyline range on my part. As stated, the above coupe is a pre-facelift RS, the RS received a large 3 slat grille. Very sought after in pre-facelift circles for those that do not have an RS as it is a mile better looking than any other grille offered for the pre-facelift R30. 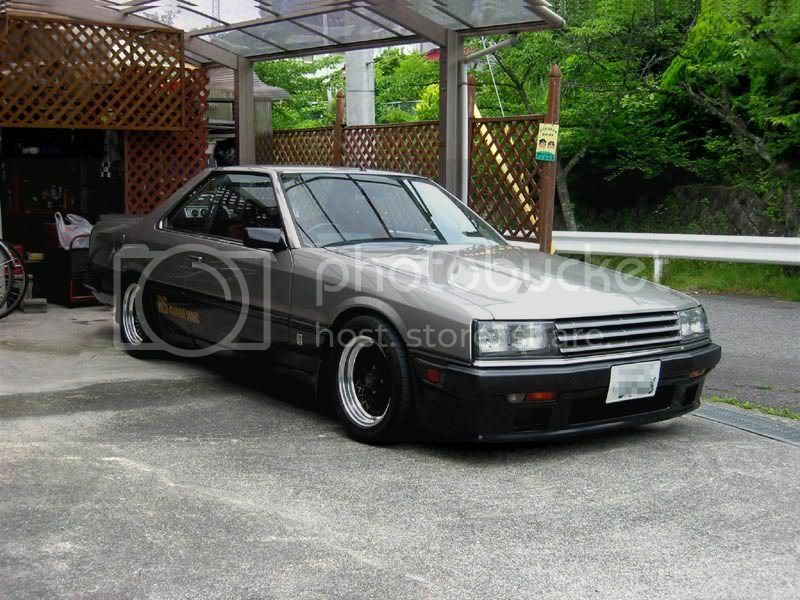 You may notice a similarity between the large 3 slats in this and then in the later R32. The pre-facelift has large rectangular headlamps that span from the top of the bumper to the edge of the bonnet, the bonnet itself is straight from edge to edge. The bumpers are shorter on the pre-facelift and the fender markers are placed between the bumpers end and the wheel arch, in line with the bumper. Whereas the facelift the front bumper wraps around. and the fender marker is above this, on the guard itself. 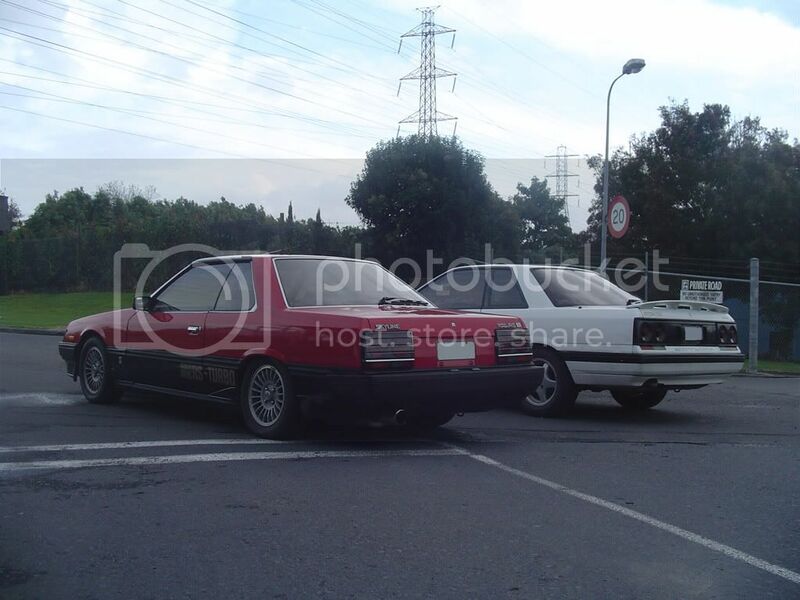 As you can see, quite a different look to the pre-facelift but still the same body and basics. 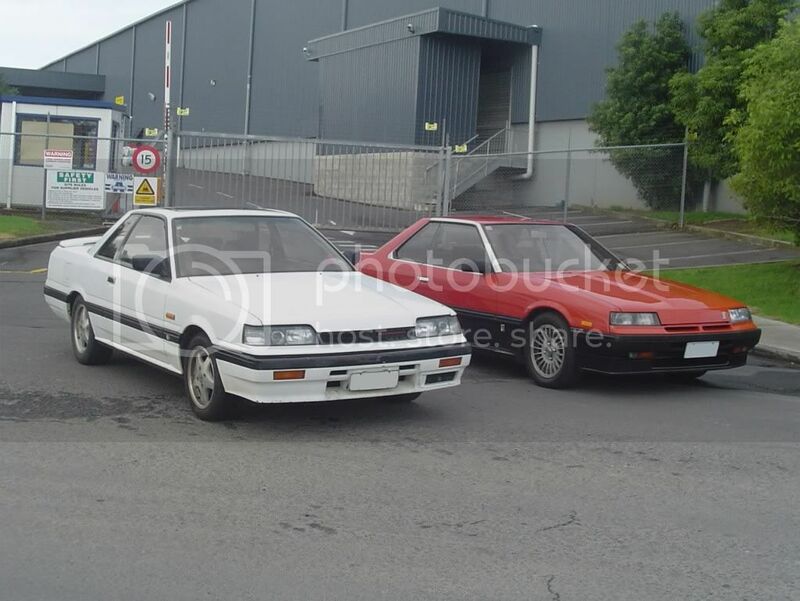 Now when you compare these two to the R31 Skyline, the differences are quite definitive. The 30 has softer lines compared with the 31 and is a slightly smaller car though it is hard to tell that scale from individual pictures. You can see it evident in the above image. Note the chrome trim that lines the windows of the 30, this fails to be present on the R31. The bonnet has two bulges on the 31 instead of the single as the 30 does. The lamps, despite being thinner on the face-lifted R30, are still very square. Most 31 coupes you’ll encounter will have angled lamps at the edge where they meet the grille and the grille itself is separate from both the bonnet and the lower trim panel, which you can see is not the case on the R30. The Rear Side windows on the R30 are able to be rolled down, though on the R31 they remain static with a black lining similar to what you see on the R32. As a consequence there’s no “B-pillar” on the R30 so it’s a Hardtop as opposed to the 31 which is a Coupe. On the 31 the bumpers wrap around the corners of the car and extend right to wheel arch itself. This is especially noticeable on the rear compared to the 30 which wraps around and stops after only a few inches. Though there are differences between pre & post facelift R30 their bumpers are still more moulded and noticeable as a bumper as opposed to the bumper on the 31 being designed as a part of the car. Also the indicators sit high in the bumper of the 31 as opposed to the R30 where they sit below the bumper line and are accompanied by a park-lamp. When you get around to the rear of the car, on a R31, the tail-lamps and rear panel sit flush, the boot lid on an R30 enters into the space of the rear panel and comes down below the top edge of the rear lamps. The tail-lights on the R30 are a large single rectangular unit that is separate from the bumper though on the R31 even though they indicator and reverse lamps are part of the same unit they mould into a plastic section that sits atop the rear bumper. There’s many other differences too but for the most part those should make it obvious to you. If they don’t then you’re possibly beyond help. You and me both, except I’d prefer non-RS. Give me an L6 over the FJ. Kyteler, I thought that the whole “tekkamen”/facelift thing only apply to the RS-X type(s). 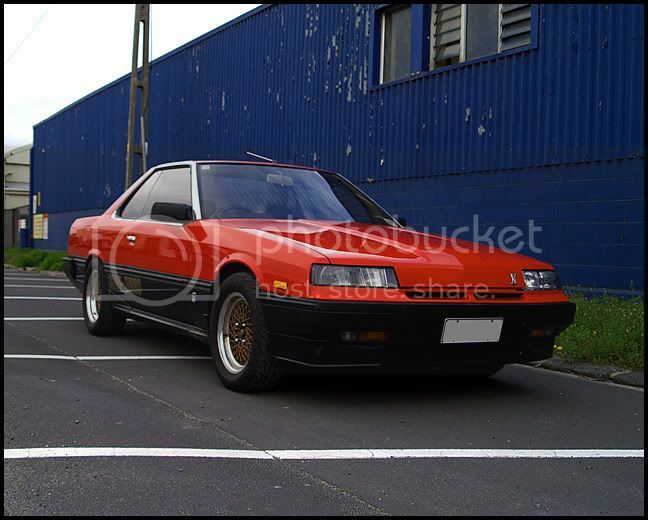 What about the other R30 model such the GT’s, the TI’s, and especialy the Newman version? Do they also got facelifted…..? I’m not 100% on the Newman but I believe that it only came out in the facelift version. The rest of the range generally came in pre and post facelift. The pre-facelift cars have skinny front and rear bumpers that don’t wrap all the way around to the arch and the gap in-between on the front fenders houses the indicator, whereas on the facelift cars the indicator is located above the bumper and is and rectangular instead of square. There’s also other trim differences, tail-light design is different, etc. « Who the %&#^ is Chris Cain?